The Sitka School Board on Wednesday (4-4-18) held an additional public hearing on next year’s budget — and this time testimony focused on Pacific High School. The district is counting on the city — and ultimately the public — to step up and support critical programs and staffing. Pacific High junior Killian DeTemple told the board that absorbing the school into another building would be equivalent to closing it. DeTemple had his facts right. 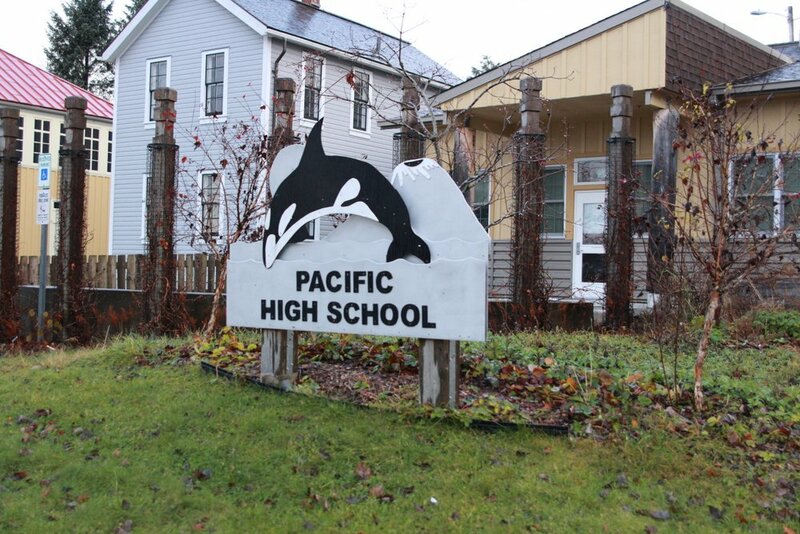 According to district data supplied for a previous work session, Pacific High pencils out economically. It costs the district a little over $600,000 to operate, but generates at least $200,000 more than that in funding due to grants, the state foundation formula, and other revenue sources like the free and reduced lunch program. Much of this money would be jeopardized if the school’s enrollment dropped significantly. Pacific High senior Madison Sprague offered data suggesting that over 40-percent of her fellow students would leave if the school were closed. Pacific High currently serves 29 students. Just over half of the 20 individuals who spoke at the hearing were there to support Pacific High. Others testified in support of retaining teachers, the career and technical education program, and the Performing Arts Center. High school music teacher Mike Kernin could barely contain his frustration that the Performing Arts Center — or PAC — was again up for a cut. In the board work session that followed, president Jenn McNichol asked her fellow members to give the administration “marching orders” for preparing a final draft of next year’s budget, and closing a spending gap of nearly $2 million. In all likelihood the budget will contain a request to the City of Sitka for an additional $500,000 to cover reductions in state funding resulting from increases in the assessed value of property in the city, to restore cuts from the last two years, to share expenses for the Performing Arts Center and Community Schools, and to retain two teachers in the elementary grades. The City of Sitka, however, doesn’t have money to spare. But unlike the school district, it has the power to raise revenue. Board president Jenn McNichol said that it might be time for the citizens of Sitka to decide what kind of schools they want. The Sitka School Board will hold a final budget hearing and approve next year’s budget at 6 p.m. Tuesday, April 17, in the high school library.